James Raymer, Division of Social Statistics, School of Social Sciences, University of Southampton. Having taught or carried out extensive research in the field of migration for the last 10 years, Dr Raymer is well respected amongst the community. He has published numerous papers in a variety of international journals and has conducted many professional presentations on this field by invitation. Frans Willekens, Netherlands Interdisciplinary Demographic Institute (NIDI), The Hague. Director of NIDI, Professor Willekens is renowned as one of the best names in migration, and a leader in statistical approaches in the field. 1. Introduction and Outline (James Raymer and Frans Willekens). 2. Counting foreign-born and Expatriates In Oecd Countries: A New Perspective (Jean-Christophe Dumont and Georges Lemaître). 2.2 A new database on immigrant populations. 2.3 Immigrant populations in OECD countries. 2.4 Expatriates of OECD member countries residing in other member countries. 2.5 Highly skilled expatriates from non-member countries in OECD countries. 3. Comparability of Statistics On International Migration flows In The European Union (Dorota Kupiszewska and Beata Nowok). 3.3 Data sources and definitions. 3.4 Secondary data sources and data availability. 4. Evolution of International Migration Statistics in Selected Central European Countries (Beata Nowok). 4.2 Data sources and availability of statistics on international migration flows. 4.3 Definition of international migration in official flow statistics. 4.4 Trends in international migration flows. 4.5 Impact of migration definition on recorded volume of international migration flows. 5. Foreign Migrants in Southern European Countries: Evaluation of Recent Data (Alessio Cangiano). 5.2 Overview of statistical sources. 5.3 The evolution of foreign populations. 5.5 Estimates of irregular migrants in Italy, Spain and Greece. 6. Models of Migration: Observations and Judgment (Frans Willekens). 6.2 Data types and data structure. 6.4 Probability models of migration. 7. Bayesian Estimation of Migration Flows (Matthew J Brierley, Jonathan J Forster, John W McDonald, and Peter W F Smith). 7.3 Results of the initial simulation. 7.4 Adding noise to the observations. 7.5 Introducing a contiguity parameter. 8. Applying Model Migration Schedules to Represent Age-Specific Migration Flows (James Raymer and Andrei Rogers). 8.2 Conceptual framework: regularities in the age patterns of migration. 8.3 Fitting multi-exponential model schedules to age patterns of migration. 8.4 Modelling families of age-specific migration. 9. Models for Migration Age Schedules: A Bayesian Perspective With An Application To Flows Between Scotland And England (Peter Congdon). 9.2 Parametric vs dynamic general linear model approaches. 9.3 Pooling strength over different schedules. 9.4 Case study: Scotland to England migration, 1990–1991. 9.5 Multivariate (multiple schedule) model estimates. 10. Obtaining an Overall Picture of Population Movement in The European Union (James Raymer). 11. A Simple Method for Inferring Substitution and Generation from Gross Flows: Asylum Seekers In Europe (Leo van Wissen and Roel Jennissen). 11.2 Asylum applications in European countries, 1985–2002. 11.3 A method for measuring generation and substitution. 11.4 Generation and substitution in twelve European countries. 11.5 Substitution and asylum policies. 12. Bayesian Methods in International Migration Forecasting (Jakub Bijak). 12.2 Uncertainty and subjectivity in migration forecasting and in Bayesian statistics. 12.3 Overview of forecasting methods for international migration. 12.4 Examples of simple Bayesian models for forecasting international migration. 13. Forecasting International Migration: Times Series Projections Vs. Argument-Based Forecasts (Joop de Beer). 13.6 Assumptions on future changes in immigration and emigration. 14. International Migration Component In Population Dynamics Models (Marek Kupiszewski and Dorota Kupiszewska). 14.2 The increasing importance of international migration in population dynamics and population modelling. 15. What Happens When International Migrants Settle? Projections of Ethnic Groups In United Kingdom Regions (Philip Rees). 15.2 Issues and approaches to the projection of ethnic group populations. 15.3 A projection model for ethnic groups at region scale. 15.4 Estimation of projection inputs. 15.6 Projection results, 2010 and 2020. 15.7 Comparisons, evaluations and adjustments. 15.8 Lessons and further research. 16. Conclusion (Frans Willekens and James Raymer). Uses the example of migration in Europe to illustrate migration estimation and modeling tools. Draws together modern statistical approaches to provide a consistent set of migration flows and allow a unified system of migration measurement for the first time. 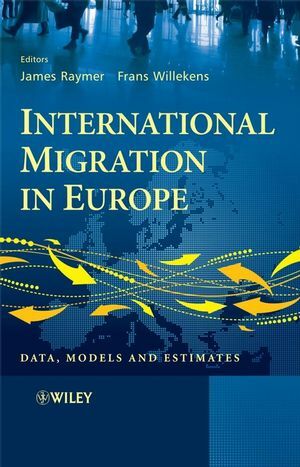 Discusses migration estimation within the framework of missing data and illustrates how Bayesian statistics can contribute to solving practical data problems in the field of international migration. Each chapter to be written by one of the leading researchers working in migration data and models. Explains models needed to estimate migration flows from both frequentist and Bayesian perspectives. Discusses both current estimates of international migration and forecasts for the future. 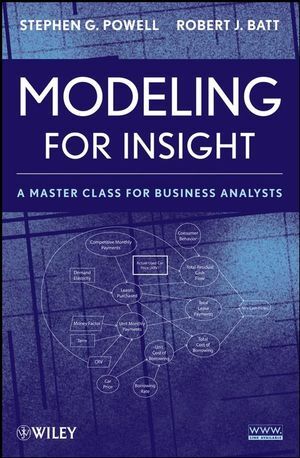 Includes chapters on migration forecasting and modeling asylum flows, both of which are extremely important for policy and planning.